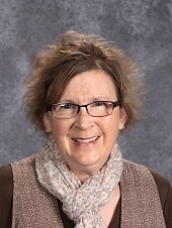 Mrs. Deb Trcka graduated from Mankato State University with a Bachelor of Science Degree in Elementary Education. This year is Deb’s twenty-seventh year teaching at Most Holy Redeemer School. She was the first Kindergarten teacher at HRS, and helped to develop the program. Deb has been the teacher for various grades, and is currently teaching 1st grade. When Deb is not in the classroom she does yard work at the family’s dairy farm, and is a part time calf feeder. Deb and Mark are board members of the Rice County American Dairy Association. Together they are also backyard beekeepers and have been for over 15 years. In addition to farming and beekeeping, Deb does lots of mending, cooking and laundry. She really enjoy sewing and tries to complete a few sewing projects each year.